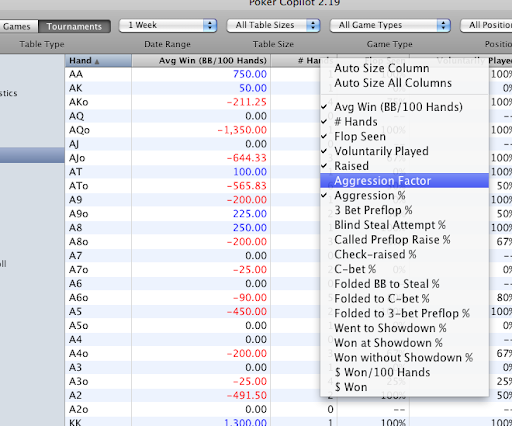 Poker Copilot allows you to select which columns to display in some of the summaries. The next update will remember which columns you select between sessions. This is often requested. It’s one of those small things that never are “high priority” but need to get done. I’ve reworked the “choose your own columns” a little to work more like iTunes. So as of the next update you can right-click on the table headers to choose which columns you want to see.